This image was taken at vandalur zoo, chennai. 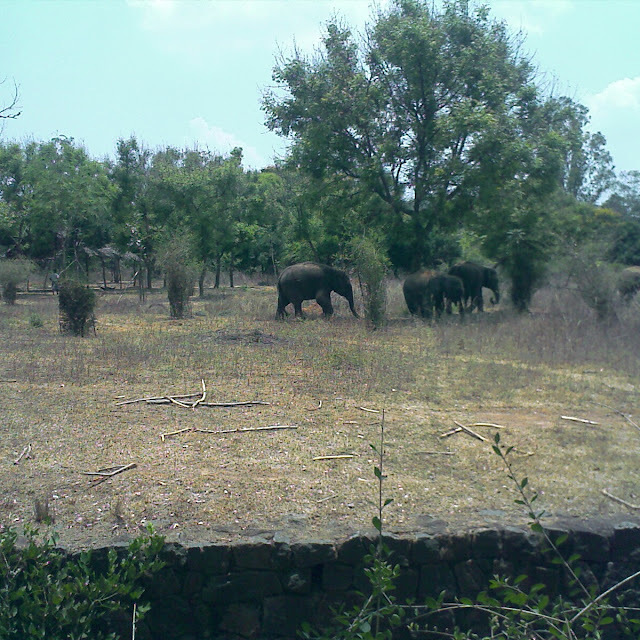 There was a big open space allotted to the elephants to roam. Big wall has been built outside to prevent them from crossing over.Elephants are vocationally bath by zoo keepers. If u buy ticket you can see baby elephants bathing from a close distance.